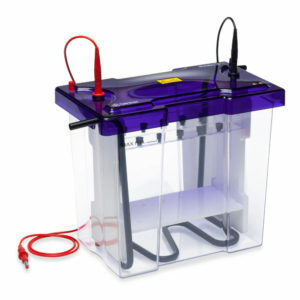 Equipped with rehydration and focusing trays, the Cleaver Scientific IEF system has been optimised to perform first-dimension isoelectric focusing (IEF) with IPG (immobilised pH gradient) strips quickly, easily and reproducibly. 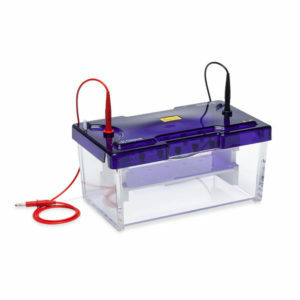 It can also be used with precast IEF Gels. 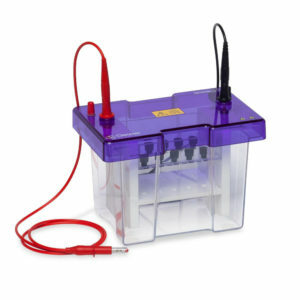 Cleaver Scientific’s IEF system is to be used with IPG strips and IEF gels, and features a large cooling platform area with facilitates effective heat dissipation and control, particularly during high voltage IEF techniques. 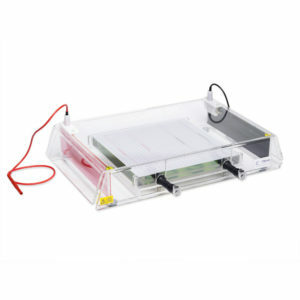 It’s high capacity focusing tray accommodates up to twelve IPG strips. Adjustable ‘pick-and-place’ electrodes clip conveniently anywhere within the focusing tray to resolve IPG strips 7-24cm in length and are colour-coded to prevent polarity reversal.